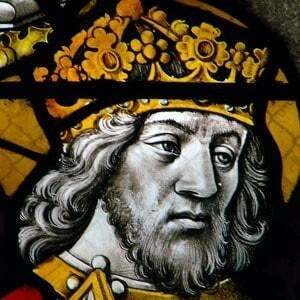 Holy Roman Emperor from 800 to 814 and former ruler of the Frankish Kingdom. He was notably the first emperor to rule after Rome fell. 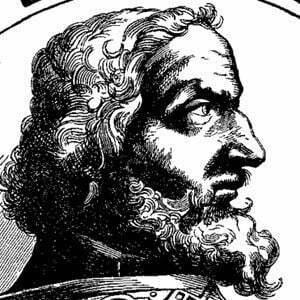 He became King of the Franks in 768 after the death of his father Pepin the Short, and was also King of Italy from 774 to 800. He helped introduce the Carolingian Renaissance, a period of cultural awakening with the Catholic Church. He had four spouses in his lifetime: Desiderata, Hildegard, Fastrada and Luitgard. He had many children and banished his eldest, and perhaps illegitimate son, Pippin the Hunchback in 792. He was a prominent Roman leader centuries after the reign of Julius Caesar.